Flamenco is the music that beats at the heart of Spanish culture, and if you're a world music fan, you should definitely take some time to discover its rapid, guitar-based rhythms. Once you've heard all of these albums from Spain's top five flamenco artists, you'll have a good idea of what flamenco is all about and will be well on your way to having a great flamenco collection. If you're interested in sampling flamenco music (rather than just flamenco dancing), you can't go wrong with these selections. If you're traveling in Spain and want to experience a flamenco concert up close and personal, you'll find good examples in Barcelona and Madrid. Camaron de la Isla is widely recognized as the most important flamenco artist of all time. By the time of his death in 1992, he had released more than a dozen classic flamenco albums. To give you an idea of his influence in Spain, his 1979 release "La Leyenda del Tiempo" was as influential as "Sgt. Pepper's Lonely Hearts Club Band" and as controversial as when Bob Dylan "went electric." "Antologia" is a great introduction to the great man's work, as is his classic live album recorded in Paris. Up until their break-up in 2011, the group Ojos de Brujo was the leading light in contemporary flamenco. The group mixes flamenco rhythms with hip-hop beats, which makes the music highly accessible and great for parties. When they first came onto the scene, the received a little flak from flamenco purists for deviating from the genre's base, but their popularity quickly overcame the skeptics. They released four studio albums: "Vengue," "Bari, " "Techari," and "Aocana." The first two albums, in particular, are very similar and either one would satisfy, though "Bari" has a slight edge. Tarifa is located at the southernmost point of Spain, about eight miles from Morocco. Tarifa doesn't have a radio station, but if it did, it would probably sound very much like Radio Tarifa. Fusing flamenco music with Arabic and Middle Eastern elements, Radio Tarifa simultaneously sounds both traditional and totally fresh. The band has released three studio albums ("Rumba Argelina, " Temporal," and ​"Cruzando El Rio") and one live album (​"Fiebre"). 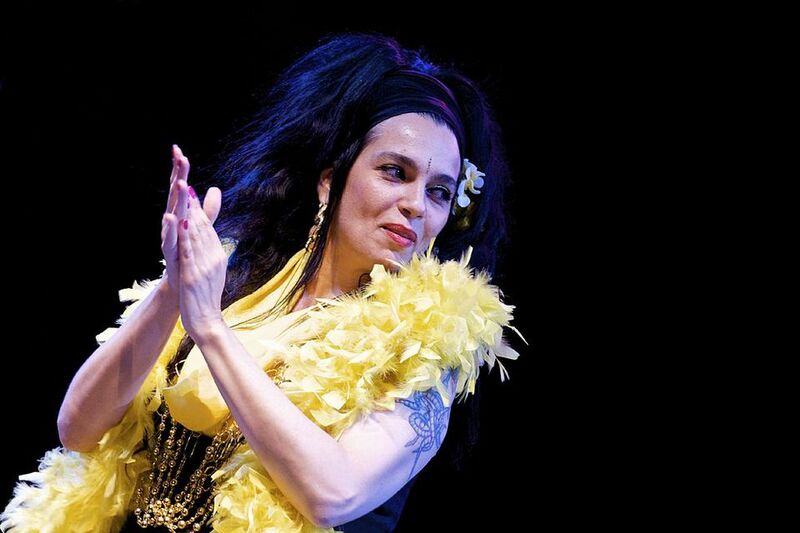 Carmen Linares has one of the most exceptional voices in flamenco. Raw and emotional, most of her music is flamenco at its most traditional. Linares released her first recording in 1970 and hasn't slowed down since. She's still putting out albums and touring, and she was awarded Spain's prestigious "Premio Nacional de Musica" prize for interpretation in 2001. Nina Pastori is an exceptionally talented flamenco artist, born in the same town as Camaron de la Isla (San Fernando, Cadiz). She released her first album at just 17 years of age. She's a veritable pop star in Spain, and her brand of slicked-back flamenco-lite may stray from more traditional flamenco (although her legions of fans could not care less—she won her fourth Latin Grammy in 2016). If you're looking for contemporary pop with a world music twist, you'll be pleasantly surprised by Pastori's smooth-listening flamenco.